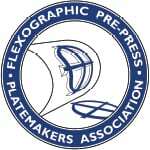 This session will focus on quality control and best practices in the plate room, as well as plate care on press and after the run. Discussion topics will include configuring and analyzing quality control checkpoints, as well as proper post-run cleaning & storage procedures. Jessica joined Anderson & Vreeland in June of 2010 and leads the Technologies Team of specialists focusing on platemaking, proofing, color management and press-side assistance. She has previously held positions with Esko as the FIQ Supervisor, working with digital laser imaging, platemaking, fingerprinting presses, and software. Before Esko she worked for Schawk as a Technical Director completing R&D on digital plates, curves, and photopolymer In-the-Round. She is a graduate from Clemson University in Graphic Communications program.